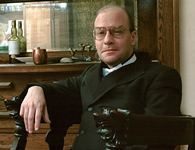 John M. Ford won the Word Fantasy Award for The Dragon Waiting and was nominated for other prestigious awards for his other works. Mr Ford also wrote science fiction. He contributed to the Star Trek series and several anthologies. Here is a fantasy novel that stands up through nearly three decades and still delivers. 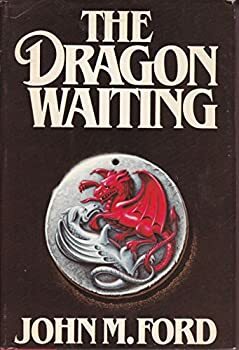 John M. Ford’s The Dragon Waiting won the World Fantasy Award in 1984, and 27 years later it still offers readers an intricate and compelling story with complex, believable characters. Ford sets his alternate universe fantasy in what would have been our fifteenth-century Europe. Since Christianity never emerged as a world religion and the Byzantine Empire rules most of Europe and Asia, the years are numbered differently, something that confused me in the beginning. Ford uses a strikingly episodic structure that conjures, in the beginning at least, the feel of strangers on the road sharing stories in front of a crackling fire, over a pitcher of ale. Web of Angels — (1980) Publisher: Condemned to death at the age of nine for his ability to manipulate the Web, which links the many worlds of humanity, Grailer must go underground, hiding his skills and testing his powers. The Princes of the Air — (1982) Publisher: They have the fastest ship in the galaxy — and the fastest wits! Growing Up Weightless — (1993) Publisher: Talented, imaginative, and self-confident, Matt Ronay has never known any other life but that on the moon, and he clashes with his brilliant politician father, Albin Ronay, in attempt to change his future. From the End of the Twentieth Century — (1997) Publisher: Short fiction and poetry previously published in magazines and anthologies, including several items released only in limited edition printings, and a new story, “Here to Get My Baby Out of Jail.” Hardbound with cover art by Ron Walotsky. The Last Hot Time — (2000) Publisher: When Danny Holman leaves the cornfields of Iowa for the bright lights of Chicago, he expects his life to change. He just cant guess how much. A violent incident brings Danny the favour of a man known only as Mr. Patrise, who gives Danny a job, a home, and a new identity. Casting Fortune — (1989) A story collection. Publisher: Wizardry and revenge at play behind the curtain. Heat of Fusion: And Other Stories — (2004) A story collection. Publisher: John M. Ford is an extraordinary talent, a writer who is as comfortable writing sonnet cycles as he is writing Star Trek novels. His novel The Dragon Waiting won the World Fantasy Award for Best Novel. A few years later, he won another World Fantasy Award, for best short story-for the long poem “Winter Solstice, Camelot Station.” That extraordinary work is included in this collection. Heat of Fusion and Other Stories contains some of Ford’s best published work, including some pieces that have only been privately printed before. From the title story, “Heat of Fusion,” to the devastating “110 Stories,” here are 21 forays into the powerful, funny, and always thought-provoking mind of John M. Ford.